It’s a hive of excitement and activity here at Elm Tree Farm; we’ve adopted nine baby lambs from a local sheep farmer. Feeding them is a very popular activity as they need to be bottle-fed, so there’s never any shortage of volunteers to help at feed times! They’re growing fast and in about a month’s time they’ll be out in the lush green fields. 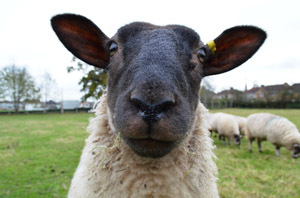 The breed is Suffolk Texel Cross and they’ve been orphaned from mothers that have either rejected them, or were unable to feed them due to lack of milk. 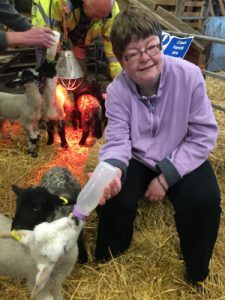 In a flock of 1,500 there can be quite a few orphaned lambs and as they need bottle-feeding, it’s incredibly hard work for a farmer. Most farmers are happy for small holdings like ourselves, to take them in and care for them. We’ll be getting another 10 orphans in a week or so which will keep us even more busy!